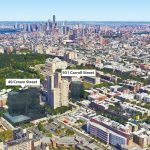 Cornell filed plans with the Department of City Planning asking that 40 Crown Street be rezoned to suit a tower of 16 stories and 400,000 square feet—enough space to accommodate 390 apartments, 105 of which would be affordable, and 15,000 square feet of retail. Cornell could also boost the number of units by 16 if they include a supermarket in the retail offer. 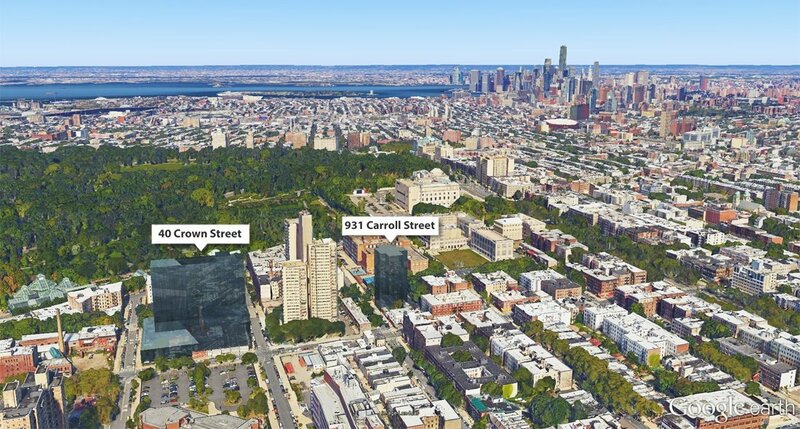 Likewise, at nearby at 931 Carroll Street, the developer is seeking to construct a 16-story completely residential building with 128 units, 35 of which would be designated as affordable. Cornell acquired both parcels in 2014, paying $14.5 million for 40 Crown Street and $2.5 million for 931 Carol Street. Currently both sites allow for much shorter residential towers as of right and are occupied by industrial buildings. 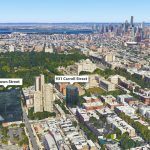 Under Mayor de Blasio’s Mandatory Inclusionary Housing program, rezoning to suit the two proposed developments requires that 25 percent of the units created be set aside as affordable. As TRD points out, getting similar developments off the ground through the program has not been easy. So far, projects in Sunnyside and Inwood have been rebuffed, despite the fact that local Council members voted in favor of Mandatory Inclusionary Housing. Cornell’s sites also sit in the district of a Council member who voted in favor of housing policy, but no comments have been offered thus far.